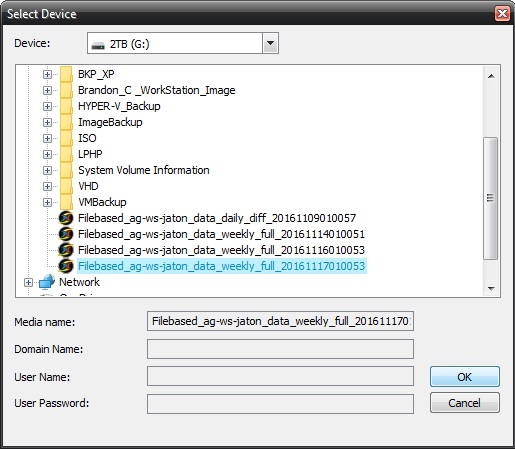 This guide will provide a step-by-step instructions on how to import file backups (.NBD) into the restore tab. 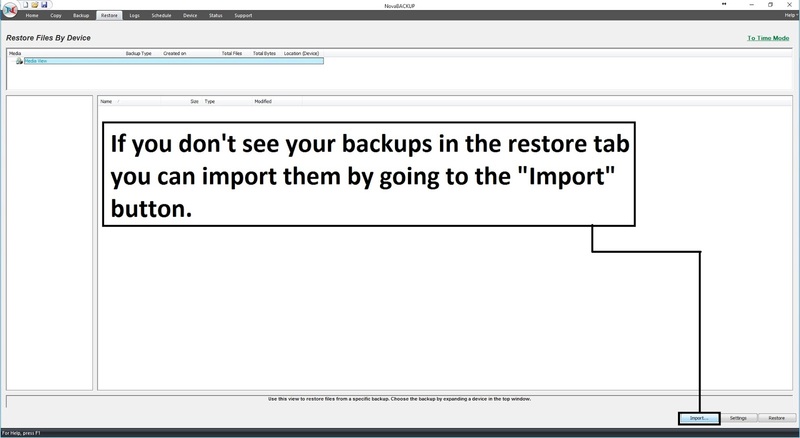 You will need to do this if you have backups that you are bringing from another computer that had NovaBACKUP and you want to restore file from those backups. First Go to the "Restore" tab. From here you will browse to where your backups are located. 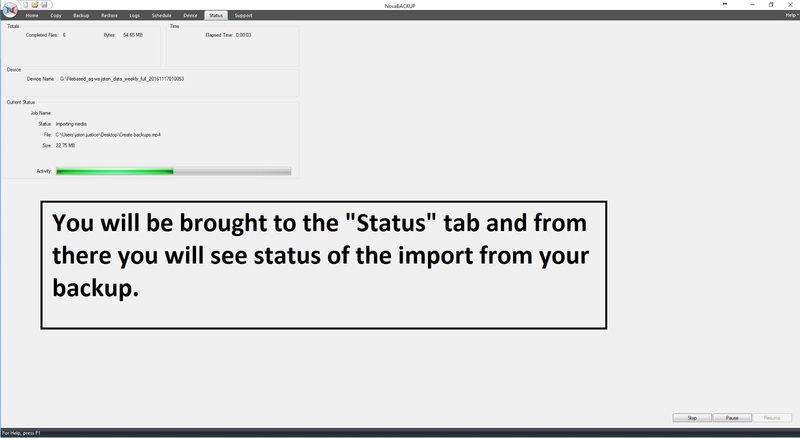 After you click "OK" you will be taken to the "Status" tab as the backup will start to be imported into the NovaBackup software. 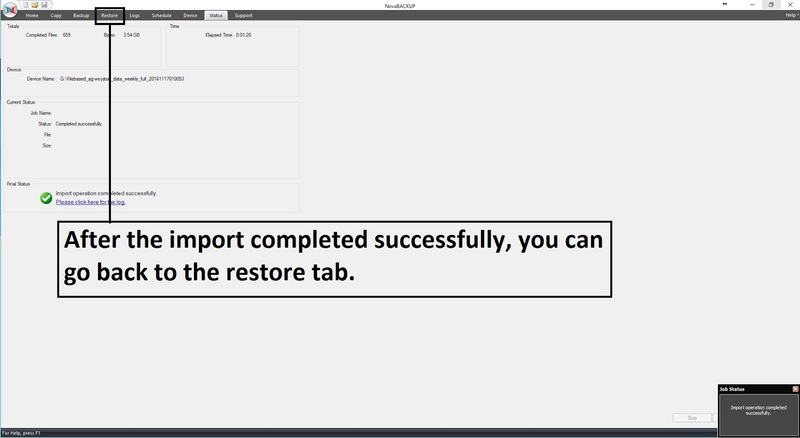 Once you see that the import is completed you can go back to the restore tab to view your backup. 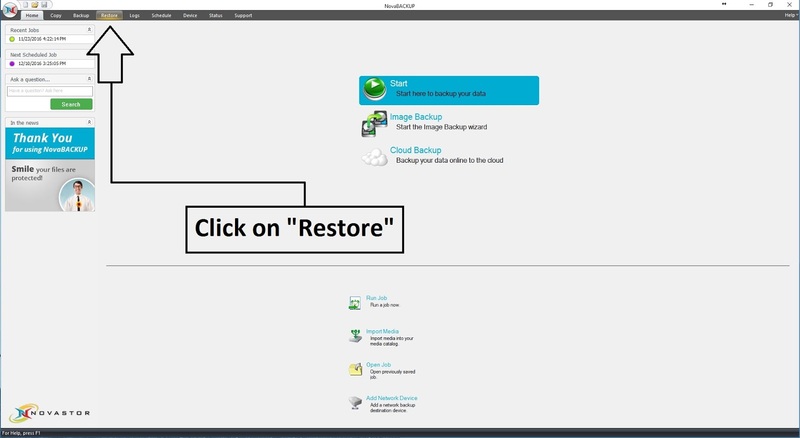 From here, you will have successfully imported your backups into the restore tab.